The Village of Pinecrest is an affluent neighborhood of Miami, located south of SW 88th Street, between Red Road and US 1, and its northern border is SW 136th Street. Since the 90’s the village planted over 10,000 trees and earned the Tree City USA name, which recognizes cities and towns for urban and community forestry. 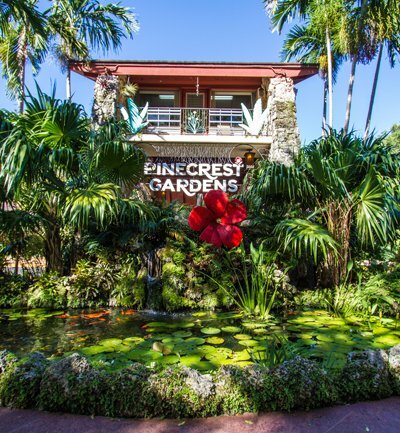 Located where Parrot Jungle used to be, Pinecrest Gardens is a huge outdoor recreation area featuring over 1,000 varieties of exotic tropical plants and trees. The park also offers summer camps, free concerts, family movies, children’s theatre, and more.